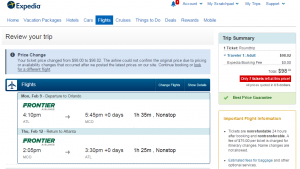 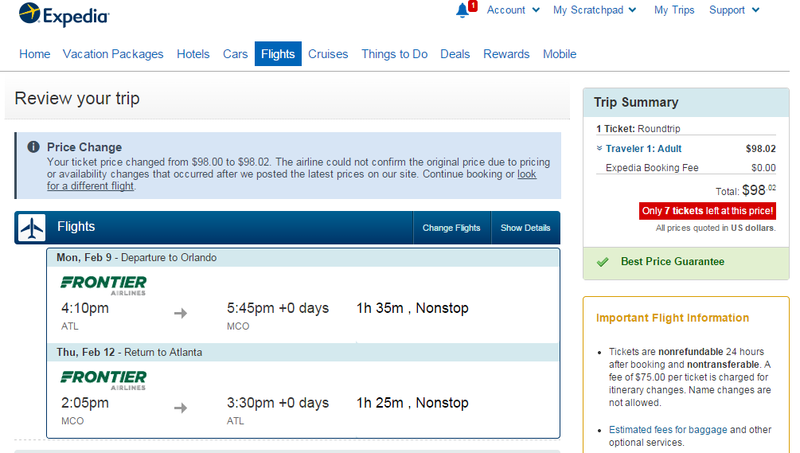 Book a nonstop flight from Atlanta to Orlando and save up to $100 compared with typical fares. 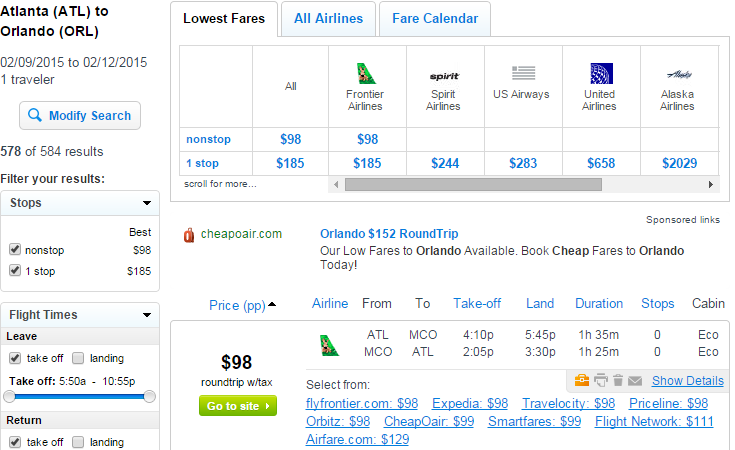 Snag a discounted fare f0r $98 roundtrip, including taxes, on Frontier Airlines. 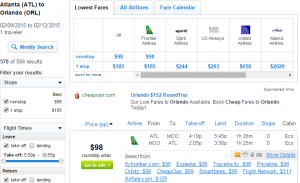 The is available into peak spring-break season, perfect for families looking to visit Mickey Mouse at Disney World, or tour The Wizarding World of Harry Potter at Universal Studios.